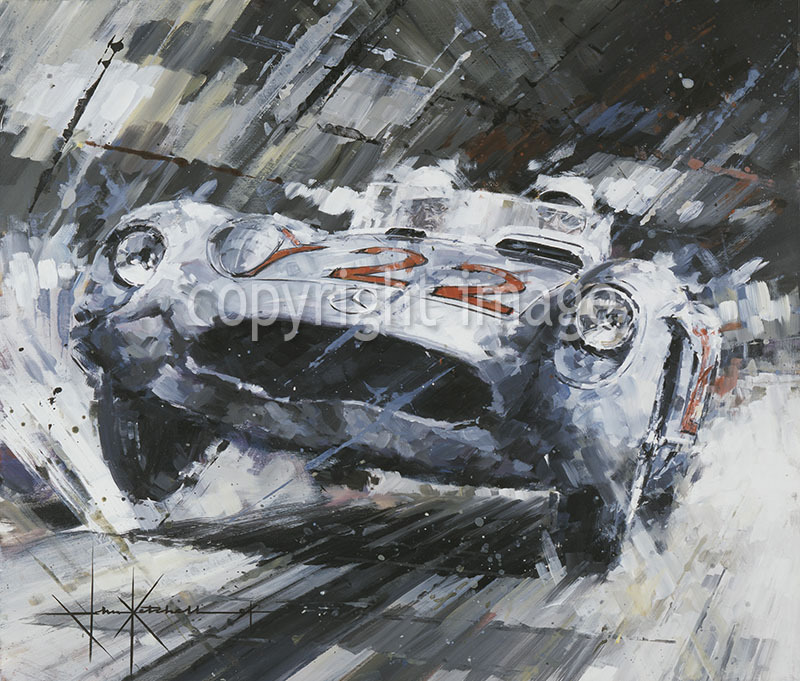 Heading for Victory – Stirling Moss 1955 Mille Miglia, Limited Edition print by John Ketchell. 1955 Mille Miglia – Stirling Moss and Denis Jenkinson in the Mercedes 300SLR winning at an average speed of 98 mph. Described recently by Sir Stirling Moss as “The greatest sports car ever made”. 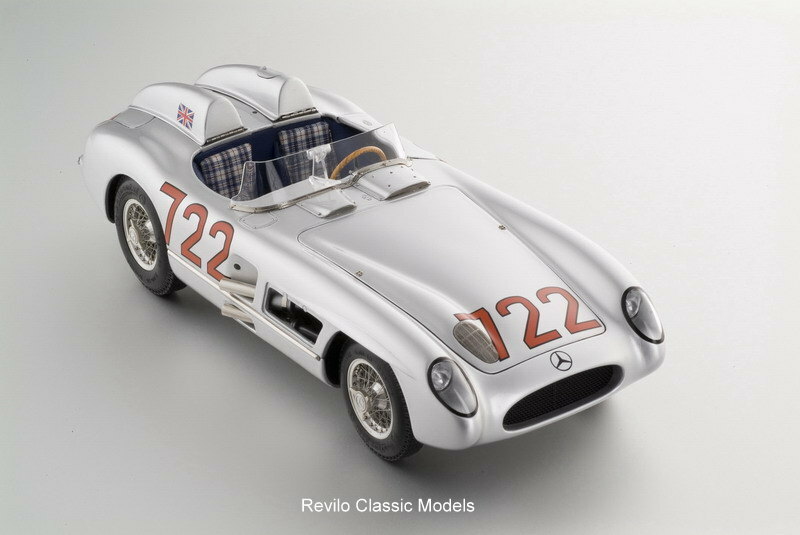 Also available to go with this print, is the stunning CMC 1:18 model of the Mercedes 300SLR. Please see the model section for details.